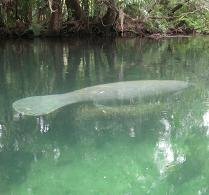 The Orlando Sentinel's Political Pulse blog posted a link to a new permit-tracking tool being offered by the Florida Department of Environmental Protection. DEP's permit tracker allows users to receive a notice whenever anyone files an application for an environmental permit. Users can select areas as small as a neighborhood up to the size of a county and select different types of permits. It's a great idea and the link is available at http://pass.dep.state.fl.us. Sign up so you'll know if anyone wants to get a permit that potentially harms the water or air quality in your area.